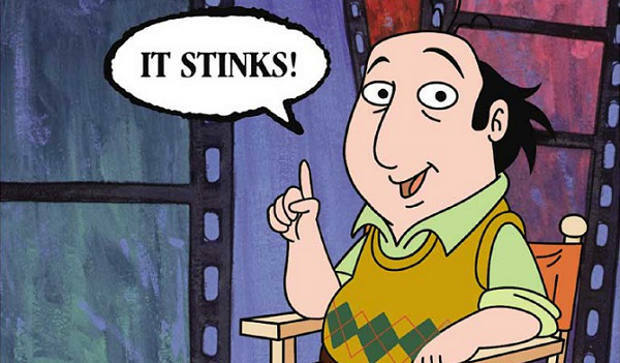 Always living in the shadow of The Simpsons, but often times outshining America’s favorite yellow family, The Critic was pure nirvana for fans of cartoons and film. Sharing more in common with the tone of Woody Allen’s Manhattan than the colorful denizens of Springfield, this show featured the perfect blend of voice acting and animation in its main character, Jay Sherman, played by Saturday Night Live alum John Lovitz. The brainchild of Simpsons producers Al Jean and Mike Reiss, The Critic was most famous for its parodies of classic films (Howard's End became Howard Stern's End, for example) and its constant jabs at the Hollywood system; unfortunately, the show soon became a victim of that very system after an inconsistent time-slot, and even a change of networks, got The Critic cancelled way before its time. But before it was given the ol’ heave-ho, The Critic’s self-deprecating humor and neurotic characters gained a cult following that's still alive and healthy to this day.